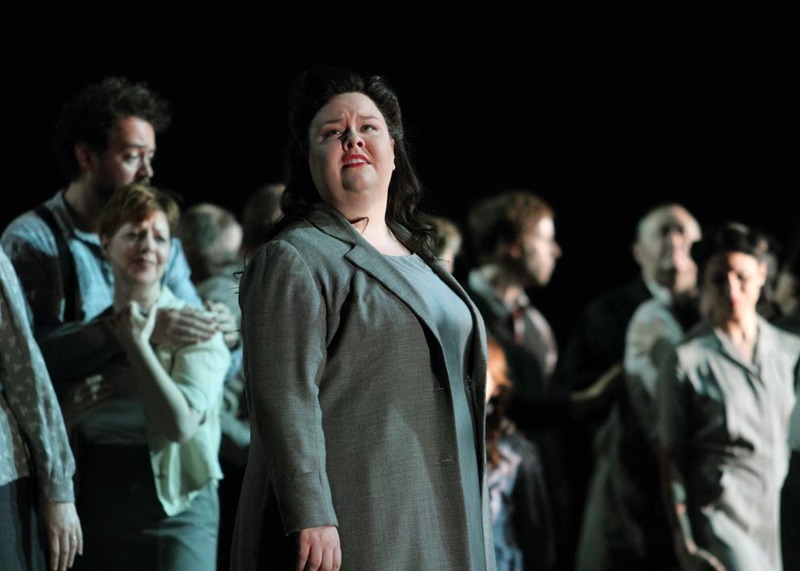 This month, mezzo Jamie Barton made her Royal Opera House Covent Garden debut as Fenena in Verdi's Nabucco, opposite Plácido Domingo in the title role. The second performance was shown via live, free outdoor relays as part of the BP Big Screens initiative, and was watched by fans around the world via the ROH YouTube live stream. The cast also stars Liudmyla Monastyrska, John Relyea, and Leonardo Capalbo. Conducted by Maurizio Benini, performances run through June 25. Tickets are available on the Royal Opera House site. Domingo, Monastyrska, and Barton will also appear in the Metropolitan Opera 2016/17 production of Nabucco, conducted by James Levine.